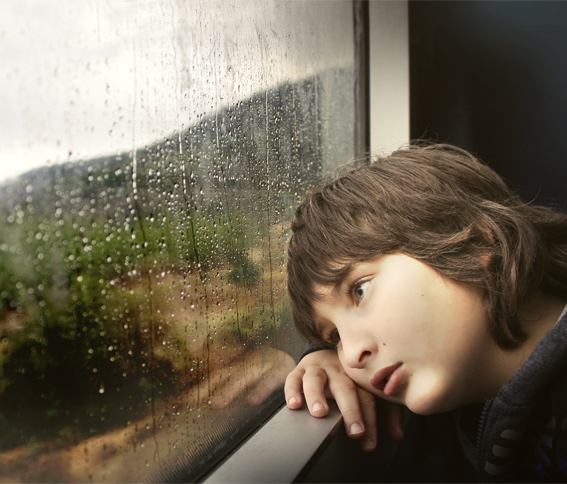 Are your kids suddenly displaying unusual behavior like isolation, quietness, and fearfulness? This might be because of a traumatic situation they encountered. Children aren’t excused from experiencing very stressful events in life. As a matter of fact, most of them are facing or were involved in very painful situations at some point. Children can cope with stressful experiences depending on their developmental level. One way they do this is by communicating their thoughts and emotions towards an incident. However, recovery doesn’t stop there. Some severe encounters can be left unchecked, especially when they don’t talk about them. These can be thoroughly damaging and might haunt them for the rest of their lives. You can learn to help lessen the blow of these unfortunate events, so your child can lead a healthy life. Here’s what you can do to help your child overcome traumatic situations. Help them express their thoughts and emotions. Getting over a traumatic experience requires patience and a whole lot of trust. Establishing a safe relationship with your child can get him to talk about his thoughts and worries. This is the first step towards recovery, but often times, it’s the most challenging. Fear is a tough hindrance to overcome, but it can be overcome. Process their thoughts and emotions together. Even after expressing their negativity, a child is likely to be still gripped by the traumatic moment. Anything that will even remotely remind them of this will trigger a “fight or flight” response. Since his mind isn’t fully developed to cope with this kind of stress yet, your child needs someone available with more maturity, experience, and emotional control in order to process their thoughts and emotion. That’s you. There are times that in the midst of processing their emotions, they will exhibit physical manifestations like trembling, screaming, and crying; sometimes, everything at once. This is just them trying to unload all their unprocessed emotions. Support them and give them time. Don’t try to hasten the process by being angry, reactive, or impatient, you’ll just get in the way. Or worse, you might exaggerate the problem by passing on more emotions to your child. Try to do this in an isolated area. Highly charged emotions tend to be transferable from person to person, especially among kids. That’s why you need to offer a peaceful and open haven where you or a few trusted individuals can console your child. That way, the situation can be contained. Use reassuring words like: “We’re not going to leave you”, “You’re safe”, and “Being with you is all that matters to me now.” Let him know that the situation has passed. Release leftover fears through laughter. Laughter might just be the best medicine after all—at least in dealing with trauma. Laughter is a powerful human reaction that releases “happy” hormones that keeps your child’s perspective away from his fears. Be creative in making kids activities that you know are fun for your child. You know him better than anyone. Don’t induce laughter from tickling because it’s ineffective in forging deep emotional bonds that will form into a memory. You want to make lasting memories that your child can lean on when fear or panic strikes. It’s always a good idea to ask for professional opinion about delicate matters. However, this advice isn’t actually for your child but for you. Again, emotions are contagious. It’s only natural to be affected when you see your child going through a rough patch. But you need to be his anchor. So try to share what you’re going through with a trusted individual, someone who’s going to listen and is able to put up with your anger, worry, and fears.